17 General Insurance Companies and 3 Health Insurance companies are at present selling health insurance. During 2009-10 premium figure is estimated to have touched Rs. 8100 crores. (1)- Number of stand alone Health Insurance companies is increasing at a slow pace. Star Health was the first health insurance co and it was followed by Apollo Munich which started operations in August 2007. Max Bupa has started operations in April 2010. Religare is planning to start operations in near future but without any foreign partner. (2)- In view of increase in medication as well as health care costs the sum assured limit of Rs. 5,00,000 has been steadily increasing and now many companies are issuing policy of Rs, 10,00,000. Max Bupa has introduced a product where even a policy of Rs, 50, 00,000. can be issued and that too to a person of 80 years. It is a good charge. (3)- More and more life Insurance Companies are now selling Health Plans –which is a combination of Health Insurance and Mutual fund. It is foreseen that SEBI view on Mutual fund will have impact on this product also. (4)- Hospitals / Pharma Co’s may become promoters / investors in health insurance companies. It may result in better healthcare management as resources can be effectively utilized for the welfare of the society. But reach can be limited as India is a very large country. Contribution of 3 large corporates Max, Fortis & Apollo will be merely a symbolic thing. (5)- Our projections are that by 2015 Health Insurance premium will touch Rs, 35,000 crores and by 2025 it will be Rs, 4,00,000 crore industry. (6)- Concept of Co pay or co payment will get strengthened year by year and we foresee it will be introduced for all type of health insurance polices by 2013. (7)- RSBY has become a success. More and more states will introduce this and coverage of those who are BOP (Below the poverty line) and are in unorganized sector will increase. Permit 100% foreign ownership in stand alone Health Insurance companies in near future. Reduce equity requirement for Health Insurance Companies at Rs 50 crores (instead of Rs 100 crores at present). (9)- General Insurance Companies will consider setting up of 100% owned Health Insurance Companies as subsidiary companies. 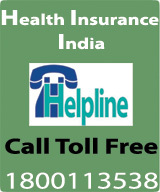 Reliance General may make the beginning by setting up Reliance Health Insurance. (10)- Mergers & Acquisition will start in Indian Insurance industry and in 2011 (may be in 2010) we will see firms like Royal Sundaram getting merged with Reliance General Insurance. At present (2009-10) Private insurance players are having market share of 40% in health insurance. Their market share has increased from 12 per cent in 2003-04 to 40.00% during this year. The market share of public sector companies has come down to 60%, which was expected by us as well as predicted on our website. We foresee 4 PSU’s may set up 1 strong Health Insurance Company as a stand alone company to face competition. They may also go in for 1 stand alone TPA fully owned by them. Star Health has become No. 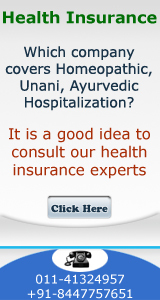 4 company as far as Health Insurance is concerned. They have beaten National Insurance. (11)- Some of the small TPA’s may exit the scene as they will find business to be unviable as more and more insurance companies will go in for in house processing of claims.